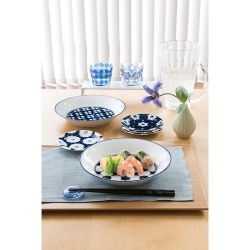 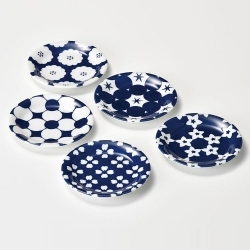 Gift boxed set of 5 bowls with 5 different blue & white designs. Perfect size for pasta, salad, soup. 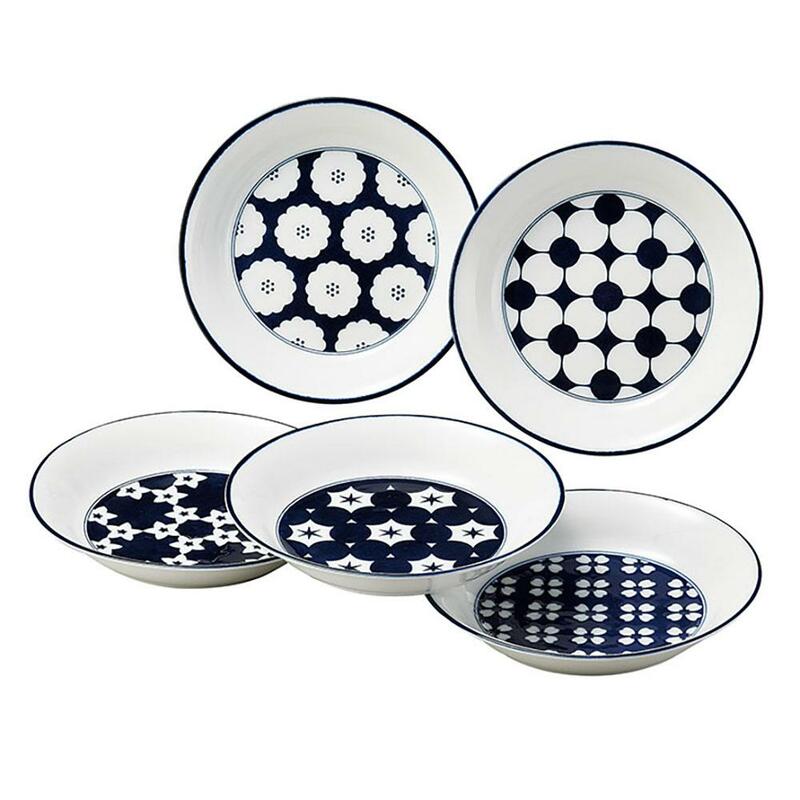 Matching small dish set available.